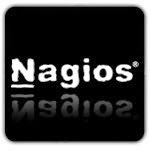 Nagios XI: A Bash Plugin to Monitor Load Average on Remote Linux Server ~ Your Own Linux..! This is a plugin designed using Bash script. 1. It uses the output of 'uptime' command. 2. Warning and Critical thresholds are 80% and 90% of the total number of processor cores. 3. If the calculated value, may it be 1 min load, 5 min load or 15 min load, exceeds the thresholds, status will be set accordingly (OK, WARNING or CRITICAL). echo "$STATUS- Load Average: $load1, $load5, $load15 | load1=$load1;$actwarn;$actcrit;; load5=$load5;$actwarn;$actcrit;; load15=$load15;$actwarn;$actcrit;;"
Hi, thanks for a post.